ESR Heavily Discounts Galaxy Note 9 Cases, Screen Protectors and Wireless Chargers for a Limited Time! If you’re still hunting for some Galaxy Note 9 cases, screen protectors or even a wireless charger then ESR has your back in its limited time, ultra-awesome sale. ESR has been around for quite a while and they know how to forge some great mobile accessories. 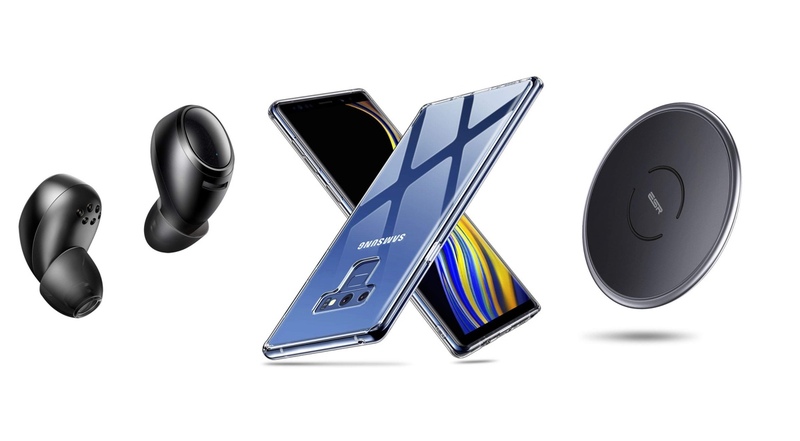 If you ordered a Galaxy Note 9 for yourself, and were hoping to get onboard the accessories bandwagon for the flagship phablet, then ESR has your back today with a ton of accessories on sale. Even if you don’t belong to the Android league, I would highly recommend picking up the wireless charger from this list. It supports up to 7.5W for the latest iPhones which is the top power the smartphone can draw from a Qi pad. Apart from that, the deal on the truly wireless earbuds is actually quite great. For $34.99, you’re getting quality audio for a throwaway price. What else do you want? HP’s Loot Sale Deals & Coupons: 8th Gen Whiskey Lake Laptop For $350, RTX Powered Laptops, Desktops and More! Up to 60% OFF!